Many people can’t resist a program that lets them defer payment of property taxes. And it might be a great deal that preserves money for other spending needs. But there’s a catch. Two dozen states let some seniors defer the payments until they sell their homes or die. Property-tax deferments have particular appeal now because under the new federal tax law that took effect in 2018, fewer people will see any advantage in deducting property-tax payments. But the deferments are rarely free—interest is almost always charged, meaning that when you eventually sell or die, you (or your estate) very likely will have to pay more than the total of the deferred taxes. The states that offer property-tax deferrals are Arizona, California, Colorado, Florida, Georgia, Idaho, Illinois, Maine, Maryland, Massachusetts, Michigan, Minnesota, New Hampshire, North Carolina, Oregon, Rhode Island, South Dakota, Tennessee, ­Texas, Utah, Virginia, Washington, Wisconsin and Wyoming. Note: In some states, the program is not offered in every municipality in the state. While these programs tend to be created by states, property taxes are paid to municipalities, so many states offer those municipalities the right to modify programs or not participate at all. 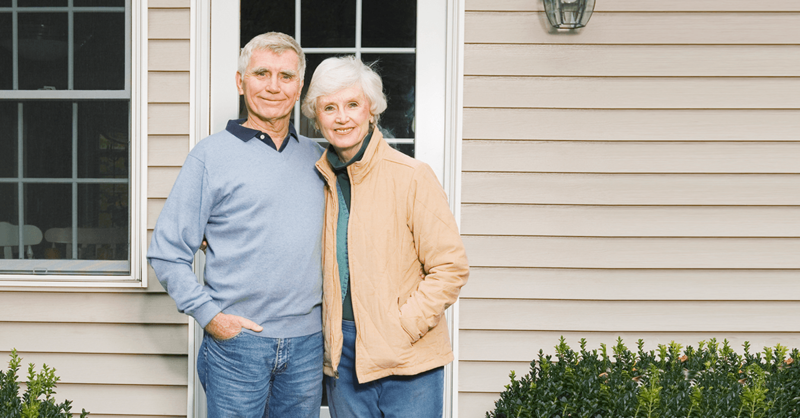 Rules and terms vary from state to state and even from town to town, but typically the offers are available to home owners who are at least 62 to 70 years old…and who have household incomes below a cap that often is set between $20,000 and $60,000. In a small number of states, including Colorado and New Hampshire, there are no income caps in some or all municipalities…or the caps are set at higher levels in certain municipalities such as the $75,000 cap in Howard County, Maryland. Usually deferrals are available only on primary residences, and often the home owner must have lived there for at least five years. Additional restrictions might apply. Property-tax deferrals are flexible—home owners can choose each year whether to defer. Contact your municipality’s assessor’s office to confirm whether there’s a program in your area and to see whether you qualify for it. If you choose to defer, ask what interest rate is imposed on property-tax deferments. This varies from 0% in Marshfield, Massachusetts, to 8% per year in Texas. (When interest rates are set statewide, and not by municipality, they almost always are between 5% and 8%—but in South ­Dakota, the rate is a more attractive 4%.) The rates usually are fixed, but it is worth confirming this before signing up. If the interest rate is higher than the rates available to you on a home-­equity loan, deferring your property tax might not be a great idea for you. You likely would be better off paying your taxes and taking out a home-­equity loan instead—as long as you can afford to pay back the loan according to its terms. With tax-deferral programs, the bill comes due when you sell the home or die. If a couple owns the home, you typically can delay paying until the second person dies. But monthly repayments on home-equity loans typically begin immediately.